Colorado is one of the best areas to undertake the sport of fishing. With over 2000 lakes and 8000 miles of river, this is the spot for all fishing enthusiasts. Despite the fishing opportunities, Colorado has great ambience in terms of environment. Beautiful scenic mountains, gorgeous rivers, abundant wildlife and various other activities you can undertake for you and your family. Below is a comprehensive look at the top 7 fishing spots you should not miss to go out fishing in Colorado. These spots are considered to be the best in the area. The Buttes lake is located in Jackson County on the northern part of Colorado. It is about 5000ft and its surrounded by beautiful plant life like the alpines and well-cultivated hayfields. The area experiences warm dry climates all year round with highs of 70 degrees Fahrenheit. The area also offers over 40 miles of access to fishing. With the wide area access to fishing, the lake definitely calls enthusiasts to the area. The most common technique used to fish is fly fishing. Carrying the right lures and flies should land you some of the best traits the area has to offer. Fish common to the area include. The best areas to fish at North Delaney lake is the mid-summer and late summer times of the season. At that time, the rates of insect population are high therefore attracting fish and general aqua life suitable for catching the best of the best. The other seasons are not bad times to fish either, with the right technique and lures, you can catch something concrete. Besides fishing activities, the lake offers a state wildlife area called Buttes state wildlife area where you can go and view the best of what nature offers. North Delaney Lake has the following fishing regulations. Fishermen and women are allowed a maximum of 2 trouts per bag. Any caught brown trout that is between 15 to 20 inches long must be returned to the water. For the rainbow trout or the cutthroat trout, anything between 18 inches to 22 inches must also be returned to the water. Between the dates 15th of September to the 15th of November there shall be no fishing from the dam or 100ft within the dam. No fishing in the inlet of the upstream of the standing waterline. You are allowed to do wakeless boating. During winter, you are allowed to undertake ice fishing. Lures and flies are restricted to artificial ones only. Lures must exceed the length of 1.5 inches. The frying pan river is a common fishing spot for many residents due to the fish found at the river. This river lies in the confluence of roaring fork river and Ruedi Reservoir. Precisely, it lies 42 miles west central of the Roaring Fork and 14 west of Ruedi Reservoir at Basalt. The area is filled with beautiful evergreen plant life of Redstone and alpines. The best times to go out fishing is in summer, from the last weeks of July to September. Autumn and spring follow suit. The area offers great skiing opportunities during the winter season which you can indulge in with your family. Frying Pan River has this fishing regulation;You will require a fishing gear and a fishing license to be allowed to fish in the river. That applies to both residents and non-residents. All licenses can be bought online for a package deal on a day, 5 days or the whole year. This creek is well known for its freshly powdered slopes and gold medal sized trout. Has average temperatures of 49 degrees Fahrenheit with humid air blowing in. All these species of trout can be caught at the red sandstone creek and by the eagle river. The area offers great mountain views of the 14 footer and the mountain of the holy cross. Gore Creek also have some fishing regulations that include;Limits of a bag are two with the minimum size of fish being 16 inches small if you get anything smaller you are required to return it back to the water. Only use artificial lures and flies during fishing. This Reservoir was artificially created in 1965 from the dam out on the city of Gunnison. This Reservoir is located on the upper reach of the Gunnison River in the city of Gunnison. It is a tropical to subtropical climate area with lows of -60 degrees Fahrenheit and highs of 98 degrees Fahrenheit. The Reservoir is known to have the largest lake trout and Kokanee salmon fishery. The Reservoir has a lot of amazing activities to undertake any day you go fishing. Besides the fishing, you can indulge in boating at the Elk creek or lake fork, camping, hunting, hiking, horseback riding, water rafting at the Ponderosa or Steven’s creek, ice fishing over at Lola basin which also has camping opportunities and you can visit the Black Canyon national park. This river is a good tributary to the Mississippi River near the leader vile rocky mountains, Colorado. The river is located along the 58 mile stretch at the gold medal waters which offers the anglers good fly fishing experience. The area has an average temperature of 64 degrees Fahrenheit with winds blowing at 6 mph. The area does not have extreme weather conditions in terms of low and high as the temperatures can go just as low as 35 degrees Fahrenheit. The area is common for fly fishing since the 19th century when there was a large population of the greenback cutthroat trout, but now the area is common for the rainbow and brown trout. A different season and elevations call for different types of fish being caught. As the rainbow trout may not survive certain currents of water there are less common where the water current flows over 304 cfs. But you can choose to undertake bottom fishing and try catching the trouts down below which escape the currents above. There is also some night fishing as some fish escape the hot temperatures during midday and rise to eat within the hours of 1 to 4 PM which is a good time to catch the trouts as they feed. If you love to take a look at historical landmarks, there is a 70 square blocks area for the national landmark of Victorian architecture.The area offers a vast space for fishing reducing the crowded feeling that may be felt in other fishing spots. The river lies in the most populous municipality in Colorado. Situated near the Blue Mesa Reservoir, it is just over at the rocky mountains. Being in that location, the area experiences cold winters compared to any other area. The temperatures are about -8 degrees Fahrenheit in the month of January and 82 degrees Fahrenheit in July. Just like the Blue Mesa Reservoir, the Gunnison River also offers great opportunities for fishing. One technique commonly used is fly fishing, the river offers a wide area for catching the rainbow and brown troughs fish. Ice fishing is also common in the months of December. The trout is comfortable in cold waters and temperatures meaning they thrive in winter, the last days if December should get you some of the largest trout. You can also catch the trophy trout but it’s not as common as most fish here are for cold weather, they don’t thrive much under warm temperatures. This also means that night fishing in the warm seasons should be a good time to go fishing at this river. The area offers great activities to indulge in every season. In winter, there is a lot of skiing at the Crested Butte mountain resort or the monarch skiing area, there’s snowmobiling, back and cross country skiing, ice fishing, skating, hunting, and snowshoeing. In the summer, you can visit the curecantin national recreational area, Tomich state wildlife area or the sapinero state wildlife area. You could go road or mountain biking, river rafting, kayaking and attend rodeo festivals with your family and friends. Despite the activities, it is a great place to learn fishing with the many fishing guides available to reach the novice and beginners on the sport of fishing. The South Platte River is a huge tributary to the Platte river alongside the North Platte River, where the two rivers interact at west Nebraska. This river lies along the confluence of south fork and middle fork, the south-west of Denver in the south fork grassland. Temperatures at these rivers are at the average of 55 degrees Fahrenheit with a low of 21 degrees Fahrenheit which is not bad weather for fishing. The wind blows steadily at 10 mph with the current at 131cfs. Fishing is actually very common in this river, maybe even too crowded. The river has 7 dams making is suitable for both fly fishing and bottom fishing. The spring season is actually a good time to go fishing at the Deckers with fish available on whichever spot you are on. There will be trouts as large as 20 inches available on the shallow waters. There ate other great activities you can take part in at the South Platte river including river surfing, kayaking, horseback racing and other activities regulated by the general temperatures and seasons. The South Platte River has some fishing regulations for the fishermen and women who would like to come out to fish here:You are only allowed to use artificial flies or lures on a catch and release basis between the stretches of Chessman dam to Wigwam club, the downstream to the upper boundary. If you are at the lower boundary of Wigwam club to the picnic ground on Scraggy, you can only use artificial lures and flies and posses a bad of 2 fish, 16 inches or longer. The same regulation for the stretch between the Strontia Springs dam to the upstream of DWB diversion. 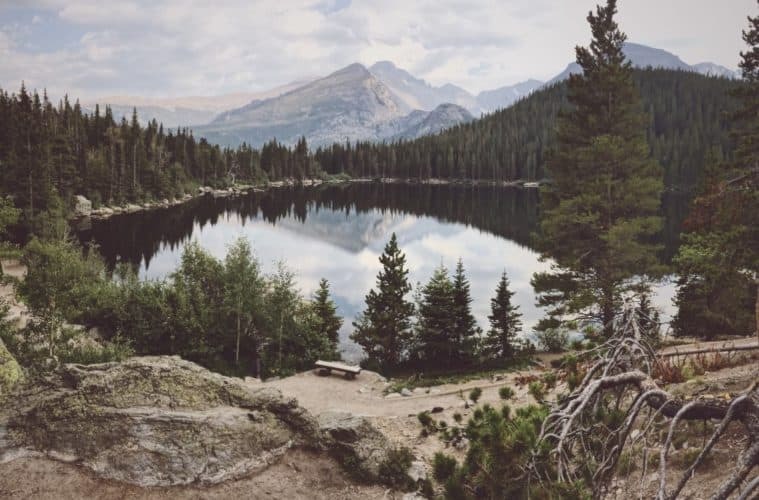 Colorado has impeccable fishing opportunities for both professional anglers and the novice, a wonderful place to visit with friends and family plus a myriad of activities to undertake whichever season you decide to visit. Fishing here is definitely not a disappointment with the chance of landing gold medal sized trout and plenty of fly fishing opportunities. For all fishing enthusiasts, this is the place to be all year round.